Circa 1492: Art in the Age of Exploration, National Gallery of Art, Washington, 1991-1992, no. 196, repro. Apostolos-Cappadona, Diane. The Spirit and the Vision: The Influence of Christian Romanticism on the Development of 19th-Century American Art. Atlanta, 1995: 129, 130 fig. 22. Richler, Martha. National Gallery of Art, Washington: A World of Art. London, 1997: 57, fig. 18. Parshall, Peter. 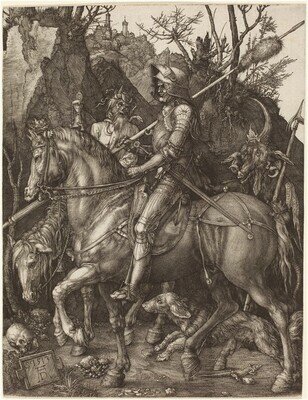 "Graphic Knowledge: Albrecht Dürer and the Imagination." Art Bulletin 95, no. 3 (September 2013): 393, 394, 395, 404-405, 406, fig. 1, 2.